I am a novelist, poet, interviewer and lover of story. Welcome to my blog. 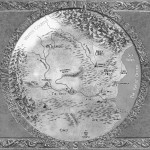 The A Geography of Haarth series features locales and places from The Wall of Night world of Haarth. Black Tower: fortress and original ducal palace in Caer Argent, said to date back to the Old Empire; located in the Southern Realms of Haarth. The Gathering of the Lost: Find Out More! The Gathering of the Lost: USA Cover (Harper Voyager) - Read More Here! To read reviews, click Here. Book Reviews for "..on Anything Really"
You can read my official Gemmell Awards finalist's interview: Here. Read "The Gathering of the Lost" prologue here! The Heir of Night: USA Cover (Eos) - Read More Here! 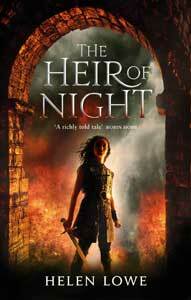 The Heir of Night: UK/AU/NZ Cover (Orbit) - Read More Here! HEIR won the international Gemmell Morningstar Award 2012 for Best Fantasy Debut. Thornspell is my first novel and is published by Knopf (Random House Children's Books, USA). It won the Sir Julius Vogel Award 2009 for Best Novel: Young Adult and was a Storylines Childrens' Literature Trust Notable Book 2009.